The goals of fire prevention programs are to prevent loss of life, property damage, and downtime in use of a building. Fires often cause disruption of business activities, loss of business documents, loss of employee work hours, and liability claims resulting from the spread of fire to adjacent properties. Depending on the construction type or contents of the building and the occupancy type and number of occupants, fire prevention features should provide life-safety and property protection or a combination of both. A fire prevention program can reduce or eliminate the occurrence of fires by training occupants in fire safety, as well as proper maintenance and care of fire protection and life-safety systems, and by controlling potential ignition sources and fuels. 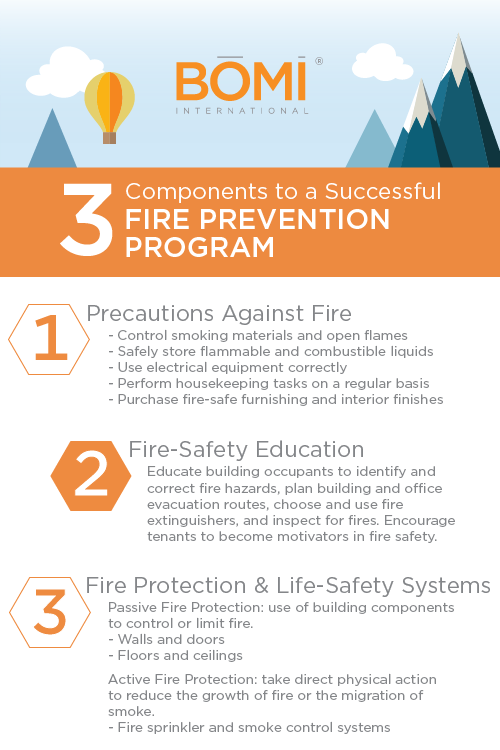 A successful fire prevention program is part of the day-to-day operations of every property. Fire prevention is the responsibility of the owner, the manager, and all occupants of a property. 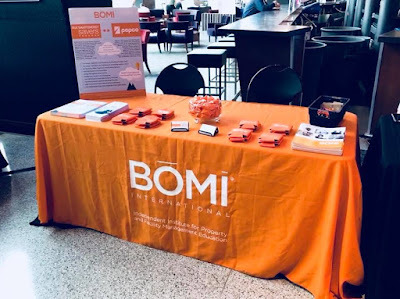 BOMI International exhibited at the first-ever Energy Efficiency Custom Tech Expo in Baltimore, MD, yesterday. BGE, Pepco, and Delmarva Power co-hosted the event and highlighted ways in which energy-efficient technologies are helping businesses of all types and sizes save energy and money. 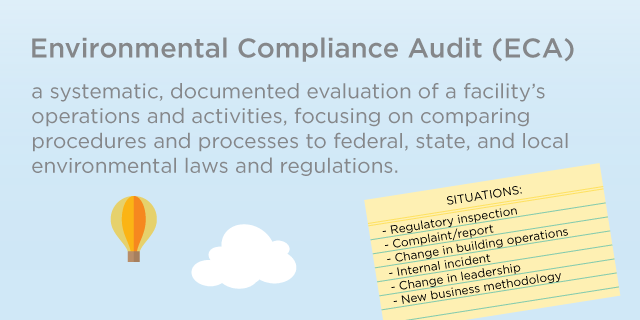 An environmental compliance audit (ECA) is needed whenever one of several situations occurs: regulatory inspection, complaint, or report; significant change in building operation or supply chain activities; an internal incident by owners or tenants; change in leadership and/or management; or the issuance of a new but related regulation to existing business methodologies. The ECA basically compares the specific regulations applicable to ongoing or proposed activities on the premises with the actual or potential environmental impact of those activities. Discrepancies will warrant immediate attention. The Miami Foundation announces the appointment of five new board members with significant experience in finance, communications, and law. The new trustees are: Jose Antonio Hernandez-Solaun, president of The Easton Group; Alison Miller, shareholder at Stearns Weaver Miller Weissler Alhadeff & Sitterson, P.A. ; Patricia M. Neal, president & CEO of Acies Strategy Group; Gary Ressler, principal of The TILIA Companies; and Isabel Santo Tomás, senior vice president/investments at Morgan Stanley Private Wealth Management. Gary Ressler, RPA® Gary Ressler is Principal of The TILIA Family of Companies. 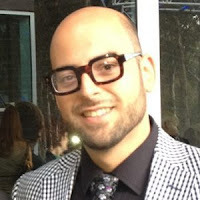 Originally from California, Gary moved to Miami in 2001 to assume operations over TILIA. He serves on the board of directors of The Kronish Foundation of Temple Beth Shalom, The City of Miami’s Downtown Development Authority, and as president of the Board of Directors of The Downtown Miami Partnership (DMP). He is also an alumnus of BOMI International.